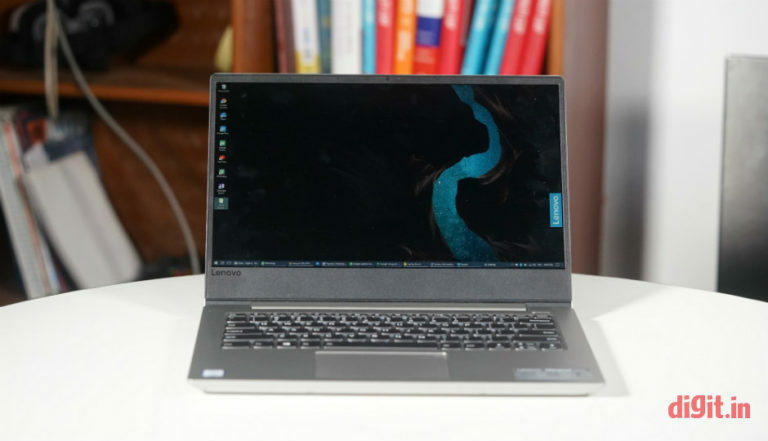 For well over a month now, I’ve been using the Lenovo IdeaPad 530Sextensively, a fine multimedia laptop in a classy thin-and-light form factor. Now, hours after the Lenovo Ultraslim Laptops launch, I’m staring at the IdeaPad 330S, the little sister to the IdeaPad 530S. At first glance it’s easy to mistake one for the other; the IdeaPad 330S and the IdeaPad 530S look positively identical. But picking the new laptop up and turning it round and round in the hand reveals the differences in dimensions, and build quality. 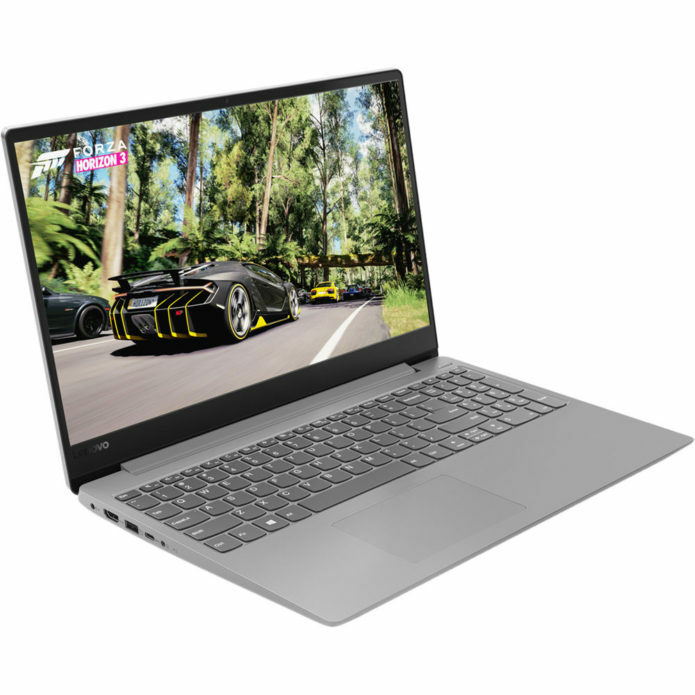 Sharing its design language with the IdeaPad 530S, the IdeaPad 330S has a clean matte aluminium finish on the outside, the inside, and along the thick hinge that covers nearly the entire width of the display. Bezels around the display are made of black plastic and are narrow on all sides except the bottom. The texture and colour of the touchpad match those of the body around it, giving it a seamless, classy look. What it doesn’t borrow from the IdeaPad 530S are the fingerprint sensor and the chrome lining along the edges of it, the touchpad, and the body. The model I’ve got my curious paws on has an eighth-generation dual-core Intel Core i3 processor, four gigabytes of memory, and a terabyte of HDD-based storage. Graphics are handled by an integrated Intel UHD Graphics 620 card. While it’s still too early to talk about the performance of the laptop, I can say that it has decent boot times. Opening regular Windows applications like File Explorer, Word, and Mail for the second or third time takes about half a second longer than I’d like, but it’s very normal, considering what it’s powered by. The matte IPS LCD panel has a Full HD resolution and is pleasing to the eyes. 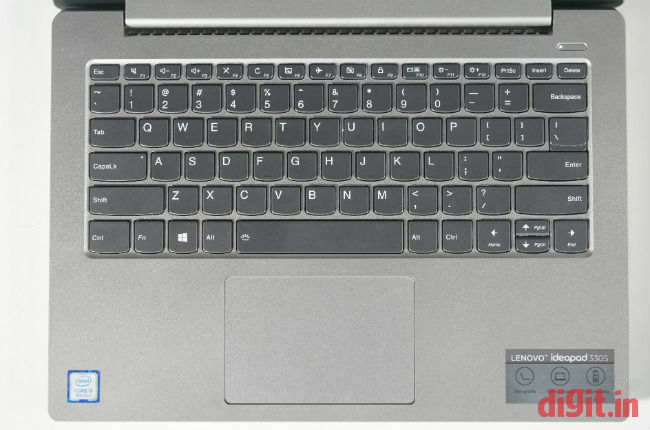 The keyboard on the IdeaPad 330S is a chiclet-style unit with flat backlit keys popping out of the matte-finished base. The keys travel deeper than they do on the IdeaPad 530S; I imagine this is simply because the laptop’s thicker base allows it. Though they travel deep, they seem in want of more tactile feedback. The touchpad on the IdeaPad 330S is a precision unit, and that means that its settings can be managed directly through Windows’ Settings without needing any third-party drivers or utilities. All in all, the new Lenovo IdeaPad 330S paints the image of a cheerful new thin-and-light laptop that wants to carry on the values held by the IdeaPad 300 series in the past. And with its slimmer body, matte IPS LCD panel that’s now standard, and precise touchpad, it should more than manage to do it. Time will tell how the latest-gen Intel Core i3 CPU fares in day-to-day usage, along with the 4GB RAM and the integrated Intel graphics card. I’m expecting to see at least four hours of battery life on a single charge. The starting price of the IdeaPad 330S is Rs 35,990 and is available for sale online and in stores.